The Eastbrooke Ambrose Medical Group in West Mackay initiates the guiding philosophy of professional quality patient care. The centre is open 5 days a week Monday to Friday, 8am to 5:30pm and offers an on-site treatment room, pathology and children’s play area. Our team of friendly doctors have an interest in all facets of general medicine including women’s and children’s health, men’s health, preventative care and chronic disease management. Our centre is also equipped to deal with Work, Health and Safety issues including pre-employment checks, work based injuries and return to work programs to get you back to a happy and healthy life. Our clinic offers professional care for both individuals and families, and whlst bookings are preferred, new patients are welcomed to join our family medical centre in Mackay by phoning us on (07) 4944 9500. 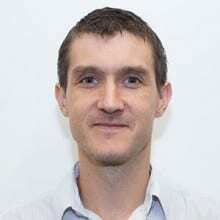 Dr Damien Savige graduated from Monash University in 2002. After graduation he worked in Victoria for three years then moved to Queensland to work at the Mackay Base Hospital. Dr Savige is available for consultation Monday to Friday. 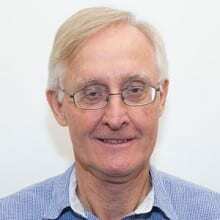 Dr John Mackintosh graduated from University of Queensland in 1974. Dr Mackintosh has been with Ambrose Medical Group since 1981. Dr Mackintosh is available for consultations Monday to Friday mornings only. Speciality General Practitioner Credentials MB, BS, Languages English Special Interests Allergy Testing and Geriatric Care. 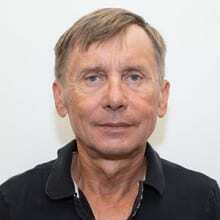 Dr Tom Valena graduated from Charles University, Prague in 1977 and again from the University of Queensland in 1989. He joined our practice in 1999. Dr Valena is available for consultations Monday to Friday mornings and all day Thursday. 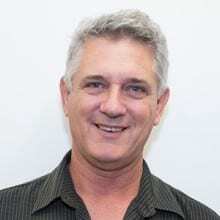 Dr Richard Malone graduated from University of Queensland in 1985. After graduation he worked at the Royal Brisbane Hospital for 3 years. Dr Malone was instrumental in the establishment of our Bridge Road Practice and is available for consultations Monday to Thursday. Dr Malone has an interest in Sports Medicine and is a member of Sports Medicine Australia. He is also an approved Medical Provider for Rowing Australia. Dr Justin Titmarsh graduated from the University of Queensland in 2008, thereafter he worked in Brisbane for a year before moving to Victoria working in both the Wodonga Emergency and Obstetric departments. He completed his GP fellowship in the rural township of Mansfield Vic working between the local hospital, Medical clinic and the Mount Buller Medical Centre in the ski season. The last 4 years Dr Titmarsh has been working north of Cairns in Cooktown and the communities of Hopevale and Wujal Wujal, moving there to help restart the local Obstetric service. Dr Titmarsh also has a nursing background and has spent time in the Australian Army.